How far has the Harkness Fellows programme changed? There have been two changes, not one. The first, in 1988, as explained in the last Newsletter replaced the original open arms approach – poets, composers, writers, academics, journalists as well as people in health, education, and the civil service – into four broad areas of public service. The second in 1996 narrowed the four themes into one: health. There are now three funds financing the scheme, not one, even though the annual number of fellows has fallen because of financial restraints. What has emerged is obviously a sad loss of breadth but a much deeper and richer programme for fellows than the original scheme. 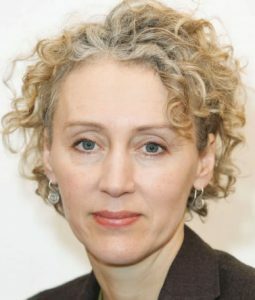 In 2008 when Dr Jennifer Dixon (HF 1991) became Director, the Nuffield Trust was already sponsoring the Harkness Fellowship programme, alongside the Commonwealth Fund and the Health Foundation. The number of UK Fellows was then around twelve per year, the programme having been extended to five European countries and Canada, and still including Australia and New Zealand. At that point the Health Foundation started to fund three or four fellows of its own who spend their year at the Institute for Health Improvement in Cambridge Massachusetts.The Nuffield Trust itself then started to fund one fellow, and the Department of Health’s research arm also funds one. Nuffield hosts the UK selection process. Current fellows tend to be in their early thirties, interested in life beyond medicine, with established research skills and publications. As before they can go with spouses and children. The programme is even more intense and therefore more costly than before. Immediately on selection the new fellows attend a dinner with alumni and spend the next day starting to plan their tenure. Between January and August they work with the Commonwealth Fund on establishing their mentors and host institutions, and they attend Nuffield’s February health policy summit and July reception. Once in the US a series of rich week long seminars through the year brings the fellows together to help them make the most of their time there and to lay the foundations for a continuing international exchange of learning and ideas. A September orientation workshop is followed by a November international symposium with health ministers from participating countries and the US, where fellows have breakfast with the relevant Minister from their own country. In February there is a Washington policy briefing – a week on Capitol Hill with members of Congress and senior government officials. In May all go to Canada for a policy briefing, and in June they present their findings and conclusions at a final reporting seminar. Each fellow has a mentor in the UK as well as in the US, which helps to keep the work done in the US alive on re-entry, and there are some alumni activities. With the current heightened level of interest in health care reform in the US, the UK and internationally, this intensive exchange of informed policy ideas cannot but be valuable. Jennifer Dixon finds that each fellow’s specific research project is less important than the effect the whole experience has on their subsequent careers, and on their fields of interest both sides of the Atlantic. (This was also true of the old Harkness and Commonwealth Fund Fellowships). These individuals’ calibre is shown in their prolific publishing, their ‘phenomenal’ level of contacts in the US and their rapid promotion into very senior roles. Recent examples are the chief executive of NHS Scotland, the head of research at the King’s Fund and the head of health policy at University College London. The links between these ‘new’ fellows and previous alumni through the Harkness Fellows’ Association may not be as close and fruitful as it could be. Any who are not already members of HFA or on the mailing list could contact Lizzie Clark on Harkness@acu.ac.uk. If you are interested in nominating new Fellows please contact Robin Osborn at the Commonwealth Fund (RO@CMWF. org). If you would like to keep abreast of new fellows’ work and activities in the US please see http://www. commonwealthfund.org/Fellowships/ Harnkess-Fellowships.aspx. If you are interested in attending relevant Nuffield events get in touch through: sushma.sangyam@nuffieldtrust.org.uk.